New paleoart! Triceratops, Stegosaurus, and Amargasaurus in silhouette form, and “Caught,” a piece depicting Daspletosaurus catching a recently discovered ceratopsian. Hope you enjoy! Have a great weekend. The battlecraft Aphrodite is the only ship to survive an attack by the vicious Arrivers. Now it drags across a desert on the planet Tarcryss, damaged and with half its crew dead. Sergeant Tobias Carter is the only man available to defend the ship from pursuers. He is convinced no one is coming to help them. Even the ship’s reverend cannot convince him to have hope. And the Arrivers are catching up…. But that is not the only Arrivers news I have to share with you! Now, the tale continues…. I am pleased to announce that “Alliance,” the fourth episode of the Arrivers serial, is now available on Amazon Kindle. 8,500 words of sci-fi mayhem can be yours for a mere 99 cents! Two days have passed since the battlecraft Aphrodite crash-landed outside the mining town of Elm’s Corner. Tobias Carter doesn’t trust the crime boss who has provided shelter to him and the other survivors. But when the Aphrodite’s captain is summoned to a meeting with their host, the key to survival may lie in combining forces against a common foe. 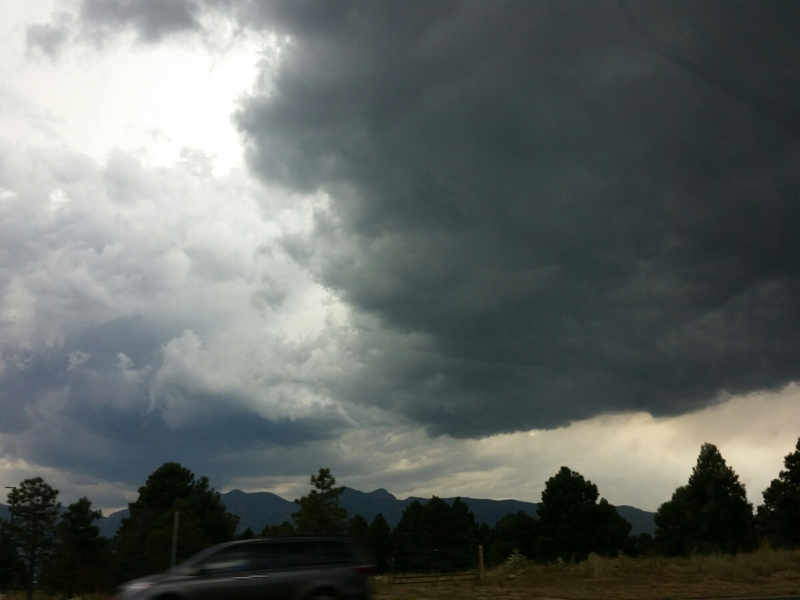 The Arrivers are on their way…. In a delightful surprise, fellow author and artist K.M. Carroll was very kind in taking a painting I had done for the new story’s cover art, and enhancing it to make it more eye-catching. She is already in the process of creating matching covers for the other stories, which will go up shortly. If you decide to read my stories, thank you. And I would love to see you post a quick review on Amazon. When it comes to digital publishing, reviews are how authors “spread awareness” of their work. More stories wait to be told, so I shall deliver them. Onward! I have finished another paleoart painting. 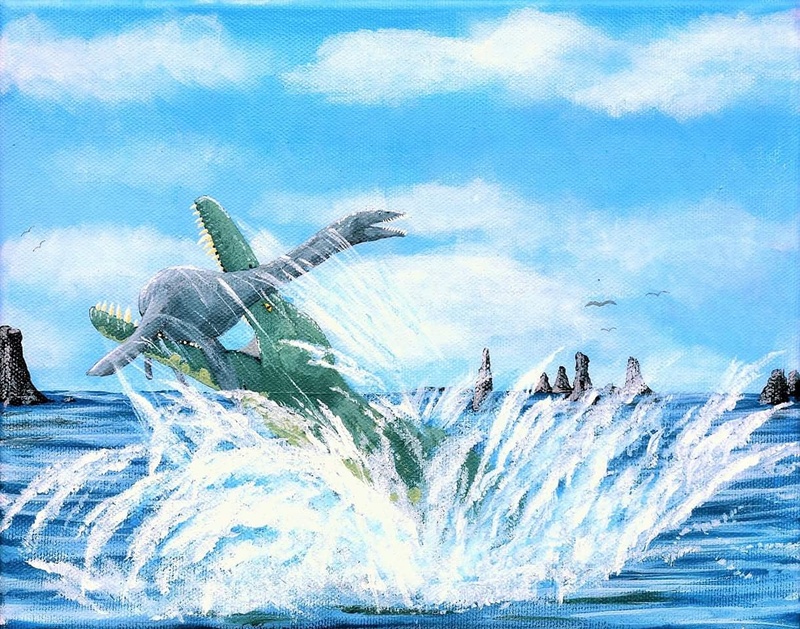 This one depicts the giant marine reptile Kronosaurus, catching a Plesiosaur. At the moment, I am continuing with my writing, and quite looking forward to presenting artwork at the Symposium for the Western Interior Paleontological Society, in March. They invited me to come set up a table in March, so I will be working on some more paleoart, as well as a few landscapes. Here is a commission I finished for a friend last night. 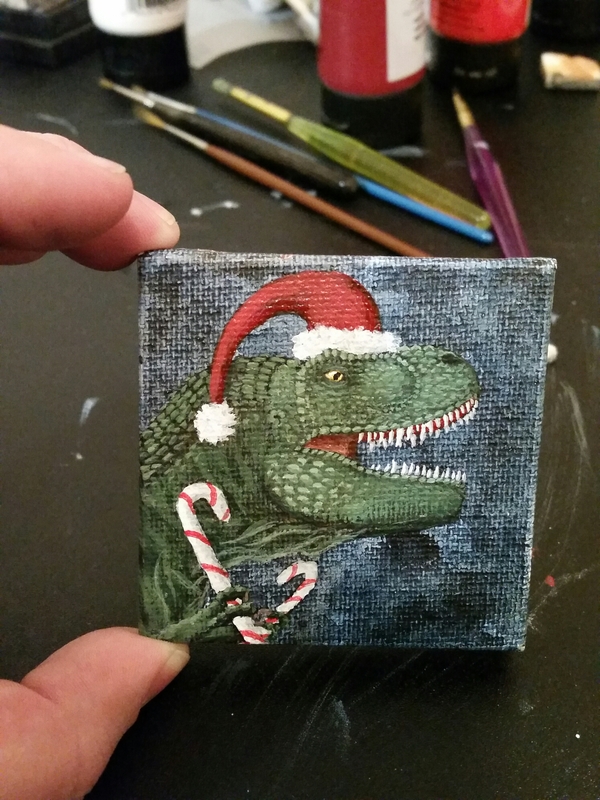 Tyrannosaurus rex, getting ready to celebrate Christmas. So just run for goodness sake! 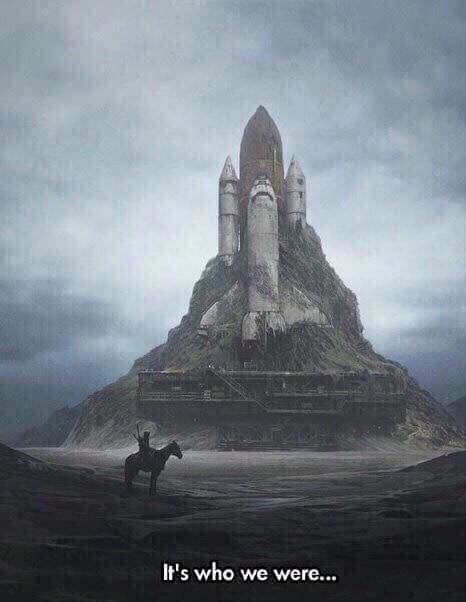 “White Castle” by Yuri Shwedoff. Caption at bottom was added by someone else. ​I pray this picture will not foreshadow the embers of space exploration and colonization, slowly fading until we lose interest and forget we once had the opportunity to walk on other worlds. 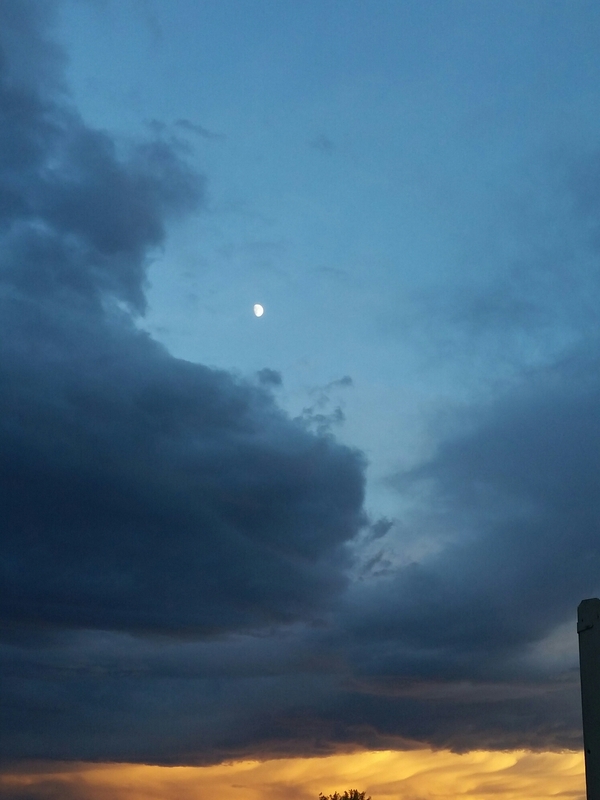 Once upon a time, we listened to the sky’s siren call, and answered it. As it was with the sirens of myth, so it is with the heavens. They are unforgiving, more so than anywhere on Earth. But that very danger is part of what beckons us. It is improper to overtly romanticize exploration, but exploration does carry more than a touch of the romantic, an urgency and necessity we cannot quite put into words. Some deep and fundamental part of us knows it is worth the risk, when we look up and drink in the sight of countless stars. 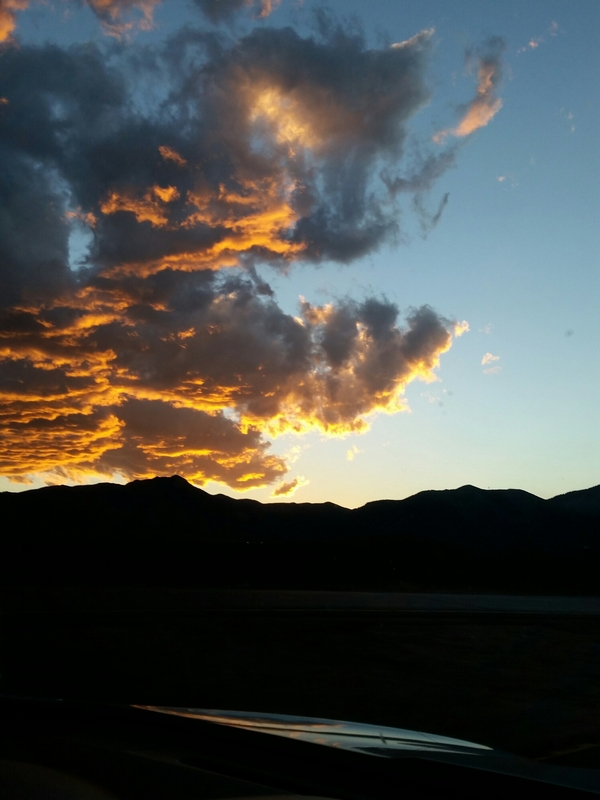 A famous passage in the Bible says that the heavens declare God’s glory, night after night pouring forth speech and displaying knowledge. And what knowledge! What rewards we have gathered from taking risks and pushing ourselves. May we reach while we still can.